Hitler and his fellow recruits did not have to worry that the war would end before they had a chance to do battle. Because of the help of a new invention called the aeroplane, the French were able to determine the basic, overall German battle plan. In hopes of encircling and annihilating the French forces, the Germans, after advancing across Belgium and into northern France, had unexpectedly turned south just before reaching Paris. The German right flank, therefore, was exposed and within easy striking distance just east of Paris. The French high command, therefore, quickly directed their armies in the field to new positions while French reinforcements were called out directly from Paris and delivered in taxi cabs to positions off the German exposed right flank. The French, by concentrating their troops where needed, were able to strike back in force and upset the whole German battle plan. By Sept 5, the German advance was nearly checked and the French, supported by the British, began an all-out attack. The first "great" battle of W.W.I began in the vicinity of the river Marne. Three days later the Germans grudgingly began a limited withdraw. When the First Battle of the Marne ended a few days later, an additional 140,000 German and 160,000 French and other allied soldiers lay dead or wounded. Their loss was only a prelude of what was to come. As the opposing armies fought their way north in an attempt to get around one another, Hitler continued with his basic training. As with many scrawny young men, the disciplined regular hours, good food, exercise and outdoor life brought about a new vitality to his appearance. The five-foot- nine-inch Hitler appeared fit and healthy - one wonders why he had been rejected, before the war, by the Austrian Army. At the beginning of October Hitler made a visit to his landlords, and told Mr. and Mrs. Popp that his regiment would soon be leaving Munich, and he would be sent to the front shortly after. Since his room was his official address, he asked the Popps to notify his sister if a message came that he been killed. He told the Popps that if no one wanted his few possessions, they could keep them. Hitler bid them farewell and, as he hugged the Popp's two children in a farewell gesture, Mrs. Popp, aware of the heavy casualties at the front, burst into tears. Hitler, undoubtedly touched by such concern, turned tail and hurriedly took off down the street. On Oct 8, Hitler, along with the other recruits of the 16th Bavarian Reserve Infantry Regiment, called the List Regiment after its first commander, swore allegiance to Ludwig III, head of the state of Bavaria, and Kaiser William of Germany. Hitler and a few other Austrians were also required to swear allegiance to Emperor Franz Josef of Austria. Hitler would later state in 'Mein Kampf' that he hated the Austrian state at the time and had "left Austria first and foremost for political reasons." It is ironic, however, that he didn't remember anything about swearing allegiance to Franz Josef when questioned about this day years later, but, he distinctly remembered that his company has served an extra good meal that day consisting of "roast pork and potato salad." On Germany's Eastern Front, the Russian Army, after some initial advances in the direction of Berlin, was soundly beaten by the Germans north of Warsaw within the first month of the war. Further south, however, the Austrian army was pushed back in some places over a hundred miles with especially heavy losses among "Germanic, as opposed to Slavic units." "Czechs in the Austrian army deserted in great numbers to the Russians, and the South Slavs fought with great reluctance"
German reinforcements were sent south and the tide began to turn. With the Eastern Front stabilized, most of the new German recruits were destined for the Western Front. On Saturday, October 10, Hitler and his regiment completed their preliminary training and left the vicinity of Munich for training in large manoeuvres. After marching around in a cold pouring rain from dawn to dusk, Hitler spent his first night on the road soaking wet in a stable. The following morning his regiment was on the march again. At six o'clock that evening they made camp in the open. "The night was freezing cold," Hitler would later write the Popps, "none of us got any sleep." By the third day Hitler would write that he and his fellow recruits were "dog tired" and "ready to drop." Hitler's regiment now headed west and after a seven hour march entered Lechfeld, near Augsberg, where they were to be given additional training in large maneuvers before being sent to the front. Hitler would describe the next five days of "strenuous exercises and night marches up to 42 kilometers followed by brigade maneuvers," as the "most tiring of my whole life ". Although he considered Lechfeld a "dull garrison" town, he was delighted with his lodging and the hospitality of the German people and would write: "We are quartered in the village of Graben, privately and with board. The latter is excellent. The people are almost stuffing us with food." On October 17, Hitler's regiment completed its training, and the brigade received its colors. It would be only a few days before they were sent off to the front. Like two-million other German volunteers, Hitler was elated at the prospect of facing the enemy. "I am terribly excited," he wrote the Popps, "I hope we shall get to England." While Hitler was taking his advanced training, the battle lines in France slowly began developing into static trench warfare as the opposing forces dug in. Although the German army had been driven back forty miles from Paris, they had an unbroken front extending 450 miles from Switzerland to the North Sea not far from Dunkirk. Except for a small area in the NW corner of Belgium, centered around the city of Ypres, under German control or within range of their guns was over one tenth of the richest territory of France. Since the original German battle plan was shattered, the German Generals decided to launch a massive assault against Ypres, push on to the English Channel, seize the port cities and cut the connection between France and Britain. Since the French had lost all of their iron fields, most of their coal mines, and much of their heavy industry, the German general staff hoped the maneuver would bring an end to the war in the west. But, with new large guns able to deliver shells that kept the area above ground alive with shrapnel, and with the addition of new machine guns which were capable of firing up to 600 rounds a minute, anyone caught out in the open was torn to pieces. A whole new kind of warfare was developing, yet, generals on either side carried on as though these new inventions did not exist. On Oct 20th the German Generals launched the first Battle of Ypres. It would be the first of the many stagnant, bloody battles of W.W.I where nothing was achieved except tremendous losses in life. On the same day, Hitler and his Regiment were loaded onto trains and headed for the Western Front. Rumor had it that their destination was Ypres. The recruits were full of enthusiasm, and like Hitler, believed they were going to do battle to protect the Fatherland from "the greed of the old enemy." As they crossed the Rhine, "the German river of all rivers," as Hitler called it, the recruits sporadically began singing German patriotic songs. Hitler was overcome with emotion and felt his "heart would burst." While the troop train traveled through the Rhineland, it made occasional stops. Hitler was overwhelmed by "the kindness and spontaneity of the Rhinelanders ... [who] received us and feted us in a most touching manner." Hitler undoubtedly felt like some heroic knight on a holy mission out of one of Wagner's operas. The memory of the event stayed with him for the rest of his life. A few days later Hitler and his regiment arrived near Ypres. They were unloaded miles behind the front line. As their regiment linked up with hundreds of others and proceeded west, the long column of men, horse drawn and motorized vehicles reminded Hitler of a giant snake inching forward. Hitler was amazed by the industriousness of the Belgium farmers in gathering fertilizer. After a horse column had passed, he observed, children would gather up any manure that had fallen. Such peaceful thoughts were soon drowned out, for as Hitler would write his lawyer friend: "From the distance we could hear the monotonous roar of our heavy guns." He also added: " ... we encountered more and more horrors - graves." 'The thunder of gunfire had grown a bit stronger.... At 9 p.m. we pitched camp and ate. I couldn't sleep. Four paces from my bundle of straw lay a dead horse. The animal was already half rotten. Furthermore, a German howitzer battery immediately behind us kept sending two shells flying over our heads into the darkness of the night every quarter of an hour. They came whistling and hissing through the air, and then far in the distance there came two dull thumps. We all listened. None of us had ever heard that sound before. The next morning, Hitler and his regiment marched off in the direction of the enemy. In the previous week of fighting nothing had been gained at Ypres except heavy loses on either side. Nevertheless, on the 29th of October, Hitler and his unit were thrown into the battle as storm (front line attack) troops. In the morning fog they took up positions near the edge of a woods. Their objective was to attack across an open field and dislodge the British soldiers who were dug in on the other side in the trees and beyond. Hitler and his fellow recruits stood eagerly by ready to advance. The area was under heavy bombardment. "Enemy shells splintered trees as if they were straws," Hitler's letter to his friend continued. "We had no real idea of the danger. None of us is afraid. Everyone is waiting impatiently for the command: 'Forward'". Again we went forward. I jumped up and ran as fast as I could across meadows and turnip fields, jumping over ditches, wire, and hedges .... There was a long trench in front of me and in an instant I jumped in and countless others round me did likewise .... under me were dead or wounded Englishmen .... The trenches on our left were still held by the English .... [so] an unbroken hail of iron was whistling over our trench. Finally at ten o'clock our artillery opened up .... again and again shells burst in the English trenches. The English swarmed out like ants and we rushed them. We ran into the fields like lighting, and after bloody hand-to-hand fighting in different places, we forced them out of one trench after another. Many of them raised their hands. Those who wouldn't surrender were slaughtered. So it went on from trench to trench .... To the left of us lay several farms that were still in enemy hands so we went through a withering fire. One man after another collapsed around me. Hitler then relates the confusion of battle and the horrible toll on life: "Four times we advance and have to retreat.. From my whole group only one remains besides myself and finally he falls. A shot tears off my right coat sleeve, but like a miracle I remain safe and alive. Finally ... we advance a fifth time and occupied the farm." On November 3, what remained of Hitler's regiment was pulled out of the line for three days of rest and reorganization. Once refitted and reinforced they were thrown back into the fray four miles south of Ypres, at Messines and Wytschaete, where they, along with other regiments, launched another two assaults. The battle continued until Nov 22, and one of the fiercest, most wasteful, and most tragic battles of the war saw no gain on either side. The toll in dead and maimed was staggering. The British regular army alone, which had been boosted to a 175,000, had 40,000 wounded and 10,000 killed. Frontal attacks against machine guns and artillery brought the German casualties to twice that number. Hitler's regiment of 3600 suffered 722 dead (including Colonel Von List for whom the regiment was named) and two thousand wounded. Whereas these losses would horrify a soldier of today, Hitler, like most of the soldiers during the early stages of the war, saw it as their duty. To the Popps he wrote: "I can proudly say that our regiment fought like heroes." Hitler, however, acted more heroically than most and was a good deal more conscientious. He carried out any and all assignments given him without question. He never abandoned a wounded comrade and never wavered in his bravery. Hitler was cautious, sensible, resolute, and quite fearless. As one of his officers would state, he was "an exceedingly brave, effective, and conscientious soldier." On one occasion when the commander of Hitler's regiment, Lieutenant Colonel Engelhardt, stepped out of a woods to survey the situation, he was detected and enemy machine gunners opened up. Hitler and another soldier leaped in front of the officer and pushed him into a ditch and shielded him with their bodies. Hitler's superiors quickly recognized his ability. After fighting at Ypres he was promoted to lance-corporal. After the first two assaults against Messines and Wytschaete, he was attached to the staff as regimental dispatch carrier. While carrying dispatches near the front shortly after, Hitler found a seriously wounded officer and summoned a friend, a fellow dispatch runner named Schmidt. The two dragged the officer out of danger while under heavy fire. 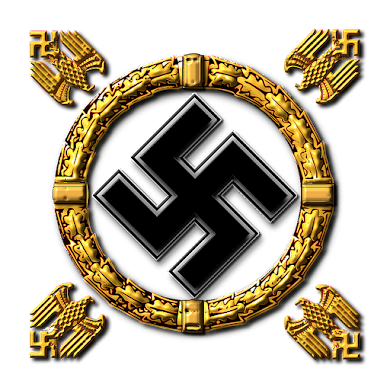 Hitler, along with four others in his regiment, for one of Germany's highest military decorations: the Eiserne Kreuz - (Iron Cross), 1st class for "gallant conduct during the fighting", however, since Hitler was attached to the staff by the time the request came through, his name was moved to the bottom of the list. For that reason alone, he received (December 2, 1914) the much less coveted Iron Cross 2nd Class. Hitler, nevertheless, was delighted and wrote the Popps: "It was the happiest day of my life," but he added that his fellow recruits who also deserved a medal, "are mostly all dead." Lt. Col. Engelhardt, whose life Hitler had previously saved, was also seriously wounded and Hitler would write his lawyer friend: "It was the worst moment of my life. All of us worshipped Lt-Col Engelhardt." The unsuccessful attempt to take Ypres ended the German offensive. Any thought of a quick victory faded away. Hitler would later state that his "first impression of Ypres was - towers, so near that I could all but touch them." He, like many of the young soldiers, thought that they would quickly overrun the place. He soon came to realize that "the little infantryman in his hole in the ground has a very small field of vision." The elan that Hitler felt during his first battles quickly began to fade. Hitler, like the millions of other young men on both sides, began to accustom himself to life in the trenches which would be his home for the next four years. Trench warfare, many intellectuals noted at the time, was a prime example of Darwin's survival of species. If proof of the adaptive quality of the "human animal" were needed, it was born out in the manner in which soldiers burrowed into vermin infested earth and lived under conditions on a par with the lowest of animals. The soldiers frequently endured long deprivations of food, fuel, medical supplies and suitable clothing while under constant bombardments from the ground and air. During the early stages of the war, thousands died from enemy fire but thousands more died as a result of disease and exposure. Thousands of others were incapacitated for life by hideous wounds and "trench foot," a result of exposure to cold and the water which readily flowed through the trenches. Yet in spite of these and other discomforts, in spite of the large rats that fed on the dead, in spite of the constant bombardments, in spite of the filth, lice, disease and aversion, men learned to survive. At first the trenches were comparatively straight, shallow affairs. As artillery searched them out, as machine gunners learned the art of looping their fire so that bullets would drop into hiding places, as sharpshooters zeroed in on anything moving, as night raiding became more sophisticated, it was seen that straight trenches exposed whole companies to enfilading fire and the trenches gradually became more involved. Well protected and fortified positions were constructed and new defences were presented by zigzagging deep front-line trenches which were equipped with firing steps, sand-bag parapets, concerted pill-boxes, and other pitfalls. Communicating trenches were dug, leading back to second line trenches, artillery stations, third line trenches, supplies, company kitchens, more trenches, field hospitals, and finally the open road and rest billets beyond. Of the artillery fire the men in the trenches were exposed to, one of the smallest calibres was on a par with a defensive grenade used by both sides. It was about the size of an orange, made of nearly two pounds of cast iron and designed to burst into a hundred jagged pieces. They wounded or killed within a radius of one-hundred and fifty yards. Bigger shells could not only kill anything in an open area four or five times that area, but also obliterate an area 25 yards across at the point of impact. It was not only the destructive element of the larger shells which caused such fear in men that their nerves shattered, but also the terrifying noises which accompanied their firing. First, there is the explosion when the shell leaves the gun which can be heard for miles; second, is the peculiar rattling noise, like the passing of a freight train, when the shell passes overhead; third, is the explosion at the point of impact which produces a shattering concussion. The combination of all three had a profound effect on many men. The constant exposure to fear and terror resulted in a derangement of body and brain, paralyzing nerve and muscle centers, which frequently produced "shell-shock" (a form of psychosis) from which many men never fully recovered. Besides artillery fire, the soldiers also had to contend with the airplane. In an early letter to his lawyer friend, Hitler related that while moving up to the front in daylight for his first engagement with the enemy: "We no longer moved as a regiment, but split up into companies, each man taking cover against enemy airplanes." As the deadlock dragged on, bombing and machine gunning by air improved and ultimately changed the whole character of the war. Pilots learned to run parallel with the trenches, bombing and strafing anything that moved. The plane also helped extend the fighting far behind the front lines and brought the horrors of the fighting to supply troops as well as civilians. The constant terror brought on by the continuous fighting took its toll on nearly every one. There was one period during a heavy barrage, when fellow recruits remembered him pacing back and forth with his rifle in hand and his helmet pulled low over his eyes. Hitler had no illusions about war once the initial bravado and valour faded away and, like any solider, had his bad days. As another of Hitler's friends remarked: "As soon as serious firing would begin on the front, Hitler acted like a racehorse before it has to start. He had the habit of walking around restlessly, buckling on his equipment." Unlike thousands of others, however, Hitler never cracked. He performed his duties with distinction. The constant artillery bombardments often caused communications lines, to command posts, to be put out of commission. The need for dispatch runners increased. During attacks their job was one of the most dangerous in the war for it was imperative that communications with front-line attacking storm troops be kept open. Only the best and bravest men were chosen for the job since it often required them to cross open areas. Even during quiet times they had constantly to be aware of lone planes, sniper fire or stray shells. The small group of "runners" were chosen from the more educated, because "it was a job that required a high degree of resourcefulness and devotion to duty." Because of their high death rate, messengers had certain privileges and were left to do much as they wanted till they were needed. However once given a message, much depended on their getting through because the orders were often critical. They were obligated to deliver their messages no matter what the situation or the obstacles in their way. The heavier the fire the heavier their burden. Shortly after Hitler became a messenger, of the eight dispatch runners on duty in his regiment, three were killed and one seriously wounded during one day of battle at Wytschaete. Hitler and the remaining three, were recommended for a citation (which was another reason why Hitler received his Iron Cross 2nd class). Hitler and his fellow recruits still hoped for a quick victory, but unlike many of the others, the twenty-five year old Hitler had no grand ideas of what the war would accomplish. Since Yugoslavians, Russians, French, Japanese, and British (with Canadians, Indians, Australians, etc.) had already declared war on Germany, and (as Hitler stated), "American-manufactured shrapnel was bursting above the heads of our marching columns, as a symbol of international comradeship,". 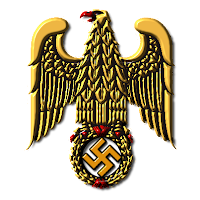 Hitler saw his country in a nationalistic struggle against foreign enemies, foreign influences, and international visions which were intent on destroying Germany. Considering that "most statesmen and people saw in the war primarily the fulfilment of their national aspirations," Hitler's statements are moderate indeed. There were those who had much broader visions. They looked upon the conflict as a means to greatly extend their domains at the expense of other races. The coming of Spring saw the continuation of the trench deadlock. Although there were countless efforts to effect a breakthrough on either side, all resulted in insignificant gains of land and tremendous losses of life. 'The British (in their quest to expand their empire) were shipping many of their troops to other parts of the world; so they wanted to reassure the mistrusting French that they were "pulling their weight." On March 10, therefore, they launched an attack south of Ypres near the village of Neuve Chapelle where they pitted four divisions, 48,000 troops, against a weak point in the German line. Because it was believed at this time that the only method of fighting was to attack the enemy at her strongest point so as to destroy the bulk of her fighting forces, this was an unconventional attack. German troops had recently been drawn away from Neuve Chapelle due to heavy French pressure further south. Only one division, consisting of about 12,000 "Saxons and Bavarians," defended the area. One of the Bavarian regiments making up the division at Neuve Chapelle was Hitler's. At seven o'clock in the morning the British artillery lazily began lobbing shells on the German lines. It was the usual breakfast accompaniment, and Hitler and his comrades took no unusual notice of it. The British however, had air superiority in the sector and had been able to move up a large number of heavy guns in secrecy. The British artillery crews were taking turns bracketing the German important positions and making sure of their range. At 7:30 the range finding ended and suddenly and surprisingly "the first really massive artillery barrage of the war" began. Instead of the normal lengthy, preliminary bombardment that went on for hours across miles of trenches, the British laid down a very intense bombardment against a 2,000 yard frontage. It lasted only 35 minutes but was an artillery concentration absolutely unprecedented. Hundreds of 6-inch, 9-inch and 15-inch howitzers, lobbed their shells upon the doomed German trenches as other field guns, firing at point blank range, cut the barbed wire entanglements defending the German lines. The British in the front trenches were deafened by the continuous roar of shells leaving their own guns. The continuous eruption of exploding shells on the German side flung earth, rock, blood, and hideous fragments of human bodies onto the British troops in the forward positions. The upper half of a German officer, his cap still on his head, was blown into one of their trenches. On the German side a curtain of fire, dust, debris and body parts filled the air. Thousands of shells plunged screaming amid the pillars of smoke and flying fragments while "bombing airplanes" added their high explosives to the fray. The earth shook and shuttered. The sickening smell of exploded powder filled the air. Suddenly, at 8:05, the shells "lifted" off the German trenches and began to fall upon the village of Neuve Chapelle beyond. In perfect unison the British soldiers leaped out of their trenches and stormed the German front line. The German machine-gunners left alive had not recovered from the shock and the British crossed No Man's Land in almost complete immunity. The German trenches had been blown to unrecognizable pits littered with dead and parts of dead. Most of the Germans left alive were in a state of trauma and there was little resistance. The British advance occurred so quickly that the artillery firing on the village had not completed its work and the British soldiers were held up momentarily. "One saw them standing out in the open, laughing and cracking jokes amid the terrible dim made by the huge howitzer shells screaming overhead and bursting in the village." The barrage soon moved off the village and beyond to roads leading into the area so as to hinder any German reinforcements from entering the battle zone. The line of roads and streets was all but obliterated. The British soldiers stormed the shattered village and began "working with the bayonet." The British drove forward for over half a mile and for the first and only time during the war broke the German lines. But, the British were too slow in sending their second wave into the hole, and before the day was over the Germans quickly adjusted their line and brought up reinforcements at a terrible cost who plugged the gap. Hoping that there might be a weak point in the new German line the British commanders ordered their soldiers to press on "regardless of loss." For two more days they went on battering against a wall they could no longer breach. With 13,000 dead and seriously wounded British soldiers littering the battle zone, the assault was finally called off. Prinz Rupprecht von Bayern - commander of the sixth army in the Neuve Chapelle sector, made a desperate attempt to counter-attack and recapture the village. The Bavarian regiments sent into the battle were met by British artillery and machine guns already moved up in position. The Germans were cut to pieces. Before Prinz Rupprecht finally called off his fruitless counterattack the German losses exceeded that of the British. Hitler took part in all phases of the five-day battle and came through it without a scratch. Because the German line had been broken, the British commanders considered Neuve Chapelle a success and took confidence that, with a little better coordination and refinement, they might break through the next time. For whatever reason they drew the wrong conclusion that "mere volume" of shell fire was the key to success. The Germans also came to the same conclusions. For the next two years Der Große Krieg would become primarily an artillery duel. The true lesson, surprise attained by a short intense bombardment followed by numerically superior troops against a weak point, never occurred to them. Considering, however, the "sudden and surprising" tactics Hitler would employ in another time and in another war, it is extremely likely the lesson was not lost on him. A month after the battle of Neuve Chapelle, the Germans made another attempt to break the British and French line. The spot chosen was fifteen miles to the north where a British and French "bulge," five miles deep and four wide, penetrated the German line. It would become know as the Second Battle of Ypres and would have a profound affect on every soldier who served in W.W.I. To prepare the way for the attack, the Germans decided to make use of a new technology; asphyxiating chlorine gas. The gas was prepared and stored in large cylinders weighing ninety pounds each far behind the lines. After being shipped to the front, the gas cylinders were carried to the front line by the infantry. The cylinders were then buried at the bottom of the front line trench with only a small "dome," which protected the discharge valve, protruding out of the ground. To protect against any leakage, a large flat bag, stuffed with a substance like peat moss and heavily socked with a potash solution, was placed on top. To protect against shells or shell fragments, three layers of sandbags were built up around and over it. "Batteries" of twenty cylinders were strategically located so that once released the small gas clouds would combine to form a large cloud. After waiting until air currents were moving steadily west, the protective coverings and domes were removed and lead pipes were connected to the cylinders, directed over the parapet and pointed to a sector defended by the French. At 5 p.m. on April 22 (two days after Hitler's 26th birthday). the Germans opened the valves. Being heavier then air, the gas swept slowly forward in a yellow-green cloud about six feet high and flowed into the enemy trenches. 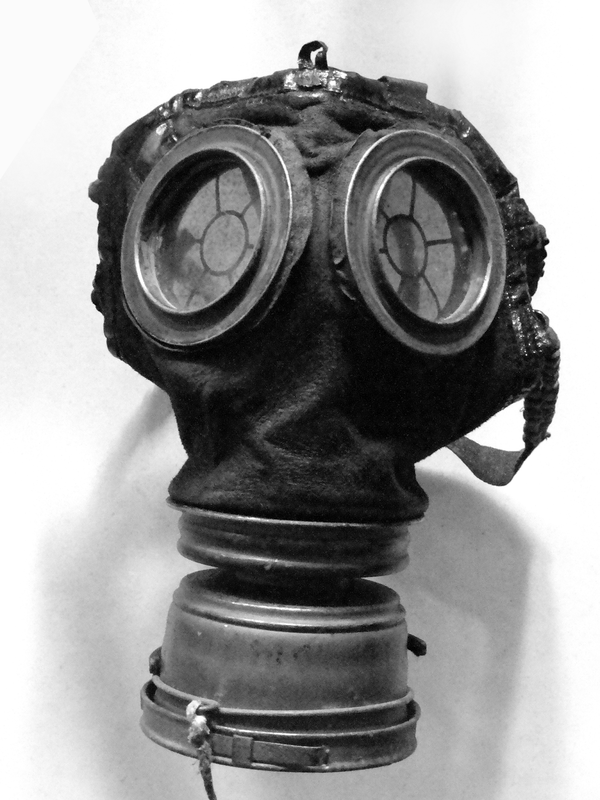 Germans troops wearing special masks came with the gas-cloud. Never before had any solider been intentionally exposed to a killing gas. In the French front lines, unprecedented confusion resulted as the chlorine gas attacked the troops lungs and respiratory systems. Some soldiers attempted to hold their breath. Others tried burying their mouths and nostrils in dirt. Many began coughing and vomiting blood. Others felt pains in their chests and began suffocating. The faces of the dead men "turned a sort of saffron-yellow which after a time changed to purplish blue." In some sections the gas killed 25% of the men exposed to it. Panic soon spread among the French forces and the infantry in the line fled, opening up a four mile gap. The Germans advanced about a half mile and captured fifty big guns. They soon left the wall of gas behind them, which had begun to break up into patches, and it seemed that nothing was in the way to stop them. But, just as with the British at Neuve Chapelle, by the time the Germans sent their second wave through the breach, the French brought up reinforcement and plugged the gap. The advancing Germans were cut to pieces. Two days later the Germans turned their gas on an adjoining section of the line defended by British troops. Though death seemed certain, the British (mostly Canadians) attempted to protect themselves with makeshift "respirators" of handkerchiefs and rags moistened with salt water or experimental neutralizing chemicals. They were able to hold their sector till the gas passed over, but suffered appalling causalities. The German drive was stopped. With all hopes lost of obtaining a break-through by using gas as the primary weapon, the Germans launched an all out conventional attack supported by gas. They began creeping forward, but by now, nearly every gas mask to be found in France and Britain had found its way to the front. After four weeks the Germans finally called off the attack. They had failed to take Ypres. To advance roughly two miles along a four mile front, the Germans paid with over 34,900 men killed or seriously wounded. The British, who launched a series of counter-attacks and gained nothing, had 10,500 dead and nearly 49,000 wounded. Even though the use of gas did not bring the desired results, out of desperation both sides began using it in hopes of breaking the deadlock. The French and British soon gained the ascendancy and the cumbersome cylinder and gas-pipe system, which depended on air currents, was abandoned in favour of the gas-shell. Besides the first asphyxiating gas, both sides soon developed others more deadly. Soldiers were instructed that the first breath produced a spasm in the throat, the second brought about mental confusion, the third produced unconsciousness and the fourth, death. * There were also "mustard" gases, which were designed to blister and burn "moist" parts of the body, and produce blindness as an alternative if death didn't occur. Thirty percent of all causalities during the early stages of the war would be a result of one gas or another. Gas masks, covering the whole face, were speedily perfected, and every command had a gong or siren which warned of approaching gas. Masks were worn not only by troops, but by horses, pack mules, company dogs and civilians behind the lines. Because of the mustard gases, soldiers were also forced to wear heavy clothes that covered the whole body even in the hottest weather. During the war, front line soldiers on either side of 'No Man's Land' looked like dreamlike figures. Their heads were protected with a steel helmet covered with cloth so the glint of steel would not advertise their whereabouts. Beneath the helmet they wore a close fitting woolen cap pulled down tightly over the ears and sometimes tied beneath the chin. Attached to a dull-colored uniform were the soldiers' belt, brace straps, bayonet, ammunition pouches, grenades, trench knife, and gas mask (which was normally carried on the chest). A cloak, made of rubber without sleeves, was usually worn to keep off the rain. High rubber boots, strapped at the ankle and upper thigh, covered the legs. During attacks each soldier proceeded forward with his rifle, bayonet fixed, thrust out in front of him. Just a few months before, the thought of a man so dressed appearing out of a greenish gas-cloud while peering through an insect-like mask, would have been the stuff of nightmares. Because the British and French succeeded in stopping the nightmarish attack of the Germans at Ypres, their confidence was up. The Germans, they believed, had exhausted themselves and were ready to crack. All that was needed, they believed, was one great combined thrust which would drive the Germans back into Germany. Though the British had consumed large amounts of men and material at Ypres, their plan was to penetrate the German line in a two-pronged attack, one to the north and one to the south of Neuve Chapelle. Each prong was to be a mile wide. The main thrust however, was to be delivered further south by the French army. The French massed nearly a quarter-million men for their assault along a ten mile front north of Arras. They had over 1100 heavy guns to "soften up" the German lines and were predicting victory within weeks. The Germans, having learned from what had occurred earlier at Neuve Chapelle, had prepared a much more elaborate network of well protected shelters, dugouts, and machine-gun emplacements opposite the British and French lines. The Germans manning the lines were nearly all hardened soldiers, and knew what to expect. One of the German regiments still defending the area between Neuve Chapelle and Arras was Hitler's. On May, 8th the British opened up with the same type of preliminary bombardment that had been so effective at Neuve Chapelle. The French opened up the following day with a bombardment that consumed more than 300,000 shells the first day. The German front line trenches from Neuve Chapelle to Arras were reduce to rubble intermixed with human debris. Where aerial photographs the day before had shown perfect geometric patterns of zigzag trenches and an occasional village, there now existed a moonscape. Beneath the carnage however, many of the German strong points were still intact. As the combined Franco-British offensive got under way, the causality count soared as the surviving Germans in their well protected and camouflaged machine gun emplacements sprayed the unprotected attackers. On the first day the British lost 8000 men in the first few hours and their offensive quickly stalled. Although the French were able to advance two miles at one point, the anticipated breakthrough never materialized. Although the British attacks continued sporadically until the end of May, the determined French threw themselves continually at the German lines for another month until 60,000 German and 120,000 French soldiers had fallen. During the battle, Hitler's regiment was shifted back and forth where needed and fought against the British south of Neuve Chapelle at La Bassee and against the French at Arras. Like most young soldiers, Hitler had to find justification for the agony, death and sacrifice he observed. He also had to accept the fact that he could die violently for his country. He came to accept the idea that these sacrifices were necessary since he was fighting for a grand ideal. He believed that he and his fellow comrades were fighting for "the existence or non-existence of the German nation." As the war continued and the causalities soared, the average soldier's life took on a very simple course; the preservation of existence. There was fellowship, brotherhood, and a feeling of solidarity. They stood together and depended on one another. They shared the same life, the same fear, and the same ideas. They protected one another, belonged to one another and loved one another. One's comrades became the most comforting things in the world. "In my section there was a spirit of open larking," Hitler would state. "Apart from the runners, we'd had no link with the outside world." This strong unity greatly impressed Hitler and he would later state: "I passionately loved soldiering." Although most who knew Hitler observed that he was somewhat "aloof and different from themselves," by now "he had earned the respect of his comrades and officers." Hans Mend, a fellow soldier, described him as a "born soldier." In the throes of battle he never faltered. He never pretended to be sick to avoid doing his duty and he got his messages through. Although Hitler still worried that "the everlasting artillery fire" would ruin his nerves, he had proven himself. His fellow messengers noticed a look of determination in his eyes and appreciated his fearlessness. Whether it was the excitement of battle or nervous energy, Hitler developed a ravenous appetite and one of his fellow recruits considered him a "glutton." Even though Hitler received food parcels from the Popps, his lawyer friend and wife, the baker, and members of his own family, he was not beneath "requisitioning" food items from the food supplies when he was on guard duty and sharing them with his friends. For a nominal cost he also purchased food from the cooks and kitchen help. The sweet tooth he acquired in Vienna hadn't abated and one of his favourite snacks was bread heaped with jam. "If he found a tin of artificial honey," Mend would later write, "nothing could get him away from it, shells or no shells.". Although Hitler normally avoided trivial conversation, when the talk turned serious, he would be in the midst of it. Ignaz Westenkirchner, a fellow dispatch runner, and also a close friend, remembered Hitler as a very serious young man concerned only with serious matters. "There is almost no subject" said Westenkirchner, "about which he did not talk. He mastered each theme and spoke fluently. We simple fellows were very much impressed, and liked it." The List Regiment's students and intellectual volunteers were also impressed with Hitler's knowledge on a wide variety of subjects and considered him an "intellectual." Mend stated that "almost no one could withdraw himself from Adolf Hitler's strong personality, and his opinions were accepted by most of us." Hitler was not always serious and would later state: "A sense of humour and a propensity for laughter are qualities that are indispensable to a unit." He could bring his fellow comrades to laughter by mimicking one of the officers who wasn't particularly liked, and by also reading, in a deadpan manner, "housekeeping" regulations that armies of all nations are so fond of posting in environments where they have little bearing. Most of his fellow soldiers considered him a "levelheaded" companion and his "comradely" manner earned him the nickname his mother had given him, "Adi." Unlike the other young men, Hitler seldom joined in any of the conversations about women. Although he felt that the "Flemish girls were most attractive," according to Mend he never approached any of the girls they came in contact with. In a war where front-line soldiers stood a good chance of being killed any day, about the only complaints Hitler's comrades made about him was his "constant lectures on the evils of smoking and drinking." There were also those who resented his dedication and commitment to duty. As dangerous as his position was, if a fellow messenger was ill or unfit, not about, or argued whose turn it was, Hitler would deliver their messages. When he returned he would lecture them on the value and importance of doing their duty. Unlike the other recruits, Hitler never applied for a leave, as though it was imperative to win the war first. Consequently, some of the men considered him "odd." During quiet times in his sector, Hitler, one of his comrades noted, "always had a book spread out in front of him," which he carried in his back pack. He still refused to read popular novels or short stories, since he considered them frivolous. "I hated nothing more than trash literature," Hitler would later tell an acquaintance. As in all wars, young men who had never seriously thought about God, and even those who had claimed earlier to be atheists, turned to God for comfort. Hitler was no exception. In an early letter to Mr. Popp, Hitler ask him to "please save the newspaper" that noted his Iron Cross award because he wanted to "have it as a keepsake if the Lord should spare my life." Hitler's favorite writer during the war was the early 19th century philosopher Arthur Schopenhauer. In contrast to the involved idiom of most German philosophers, Schopenhauer's clear and expressive writing style won him a world wide audience. His writing influenced much of the later philosophy of the 19th century. Hitler, like Thomas Mann, was greatly impressed by Schopenhauer's book: 'The World as Will and Idea'. Hitler read the book over and over again during the war and was greatly influenced by Schopenhauer's teaching. Schopenhauer taught that man lives in inner pain because he is unable to satisfy the wants of his "will." This will included all impulses, strivings, and desires which, Schopenhauer believed, are at the heart of all man's actions. Will is force, will alone rules, all else is illusion. Even intellect, so highly lauded, is feeble in the overpowering sway of will which blindly and unconsciously dominates. Because the will is obstinate, blind, impetuous, unreasonable and irresponsible, most men would never know true reality or peace. Temporary escape could be found in pleasure, art and music when the will is momentarily canceled, but things would never improve. The only exceptions were men who had within themselves the ability to grasp the meaning of life by using their feelings instead of reason and knowledge. Schopenhauer dwelled with the misery of life and the aimless strivings and irrationality that exist on the earth. In the end, however, Schopenhauer came to the same basic conclusion as all the great religions on the earth - to find true happiness and peace, man must deny his wants and give up all personal worldly desires. So in the end, the "pessimism" of Schopenhauer, in a way, brings with it a means of escape from the worthlessness of existence. On one hand, Hitler stated that he "learned a great deal from Schopenhauer". Hitler, who saw men risk their lives for another and risked his for another on more than one occasion, also had his doubts about the survival of the fittest. He saw the individual as a means of insuring the survival of the nation or people. On the other hand, Hitler was no pessimist and stated: "Schopenhauer's pessimism, springs partly, I think, from his own line of philosophical thought and partly from subjective feeling, and the experiences of his own personal life." As Hitler would later state: "Have pity on the pessimist. He spoils his own existence. In fact, life is endurable only on condition that one's an optimist .... what would have happened to us soldiers by Heaven, if we'd been a group of pessimists .... One must have faith in life." As his dreary and sometimes. mundane life as a soldier continued, Hitler resumed his painting. He did over forty paintings during the war, and most of them show a marked improvement over his earlier works. Some were considered "remarkable artistic productions" by later observers. Although he still possessed a talent for realistic renditions of buildings and churches, one of his best paintings during the war was not of a building, but a painting he titled 'The Hohlweg at Wyschaete'. He knew the lane well for he had travelled along it many times when it was under heavy fire. On one day alone, 192 German soldiers were killed or wounded while passing through it. He painted the scene with heavy thick strokes which "suggested the stark horror and menace of the landscape with a minimum of means." Because of his painting ability and understanding of colours Hitler was called upon to offer suggestions on repainting the officer's mess at a commandeered villa. To spark a little humour in the drab life of the trenches, Hitler would also draw cartoons and caricatures of the men and their life in the trenches. Many of his rough sketches were sent home and the humour is obvious in them. While Hitler was taking a respite in a trench near the front lines one day, a stocky, white terrier leaped into the trench and started chasing a rat. Hitler caught the dog and, although it attempted to get away, it soon accepted Hitler as its new master. The dog obviously belonged to a British soldier, and according to Hitler, "didn't understand a word of German." Hitler soon overcame all the difficulties and not only taught the dog to understand but to perform various tricks. He named him 'Foxl' (Little Fox). Fellow recruits marvelled at the attachment the dog showed to Hitler. Little Fox seldom left Hitler's side during the day, and slept beside him at night. "When I ate," Hitler would later recall, "he used to sit beside me and follow my gestures with his gaze. If by the fifth or sixth mouthful I hadn't given him anything, he used to sit up on his rump and look at me with an air of saying: 'And what about me, am I not here at all?'" With the summer of 1915 the tempo of the fighting increased to a never ending gas and artillery duel. No "major" offense was launched by either side that summer, but both armies attempted to break the stalemate by obliterating opposing trenches. Intense barrages, that went on for hours, regularly broke out along small sections of the line. The "few thousand" troops sent "over the top" and across 'No Man's Land' to see if the artillery had done its work were usually mangled. The heavy shelling put communications out of commission and messengers were now stationed not only at regimental headquarters, but also at the front. Still, no matter how bad the bombardment or how thick the fighting, the messenger's job was to keep the front lines and headquarters linked. During attacks the storm troops, with messengers on their heels, followed so closely behind advancing artillery shelling that it was expected that 5% of the attacking forces would be killed by their own shells. Hitler's job had become more dangerous than ever. By the end of summer the British had built up their forces to nearly one million men and were determined to break the Germans. On Sept 23 they launched a massive artillery and gas bombardment south of Le Bassee along a five mile front in coordination with a French offensive further to the south. After two days of bombardment the British went forward at 6:30 in the morning. By evening they had overrun the German first line along the whole five mile sector. That night the artillery bombardment was so intense in Hitler's sector around Le Bassee,* that the "English shelling" soon had communications with the front lines and regimental headquarters severed. Since no runners were at the front, or had been lost, Hitler and a companion were sent forward to find out what was going on. Somehow they got through and reported back that their lines had been cut and a British attack in force was expected. Although the barrage continued without letup, Hitler was sent out again to inform the other detachments what was coming. The German second line held that night and the next morning the British broke before a German counter-attack. When the heavy fighting began to die away in October, 50,000 British soldiers lay dead and maimed along with 20,000 Germans. The French, however, continued with their offensive further south. 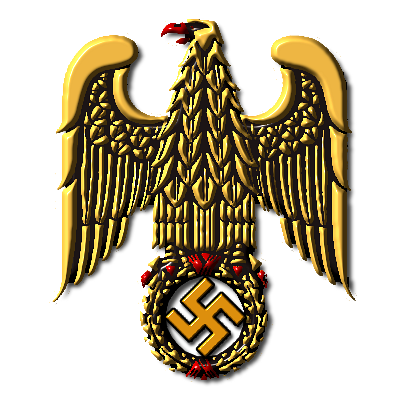 Hitler and his Regiment, consequently, were shifted to Arras. From Arras south to Champagne, the French pressed their attack. In Hitler's sector the French attempted to take a strong point in the German line known as Vimy Ridge but were stopped in their tracks. "Vimy Ridge," Hitler observed, was dotted with "scars ... shell-holes and all." When the French offensive finally petered out early in November, 190,000 Frenchmen and 120,000 Germans were added to the casualty list. Again, Hitler survived both battles without a scratch. After one year in the front lines Hitler had cheated death on numerous occasions. In 1914 Hitler had been standing in a dugout when the arrival of four officers caused the place to be overcrowded forcing Hitler and three companions to step out for awhile and wait. "We had been waiting there for less than five minutes," Hitler wrote his lawyer friend, "when a shell hit the dugout ... killing or wounding the rest of the staff." In another incident Hitler related how he was eating his dinner with several other soldiers when: "Suddenly a voice seemed to be saying to me, 'Get up and go over there.' It was so clear and insistent that I obeyed mechanically as if it had been a officer's order. I rose at once to my feet and walked twenty yards along the trench, carrying my dinner in its tin-can. I then sat down to go on eating, my mind once more at rest. Hardly had I done so when a flash and deafening roar came from the part of the trench I had just left. A stray shell had burst over the men where I had been sitting, everyone was killed." Even Hitler's fellow soldiers noted his charmed life, and some believed that if they stayed around Hitler, "nothing will happen." After one notable attack which left the regiment decimated, one of Hitler comrades turned to him and declared: "Man, there's no bullet made with your name on it!" 'It was the day when the Brits attacked and we no longer had any communications to the front. No telephone functioned, the heavy fire had torn all cables, courier dogs and messenger pigeons no longer returned, everything failed, so Adolf had to dare it, and carry a message out in danger of his life. We all said to each other - he won't come back ! - but he came back in good condition, and could give the regiment important information about everything." Considering the death toll among the troops of W.W.I, Hitler's "charmed life" was notable. When Ernst Junger, as well as other writers, referred to the young men of W.W.I as a "generation destined for death," it was not idle chatter. Half of the French males who were of military age (twenty to thirty-two) in 1914 were killed during the war. The German toll was little better, and Hitler's regiment "achieved a mournful immortality." Casualties in Hitler's regiment, severe from the start of the war, mounted steadily. The chances that a 1914 volunteer of the List Regiment would be killed or maimed was almost guaranteed. Because of replacements, Hitler's Regiment, which consisted of 3600 men in 1914, suffered 3754 killed before the war ended. Mass burials of whole and partial corpses became commonplace. Thousands of other recruits lost limbs, parts of torsos, sight, hearing and also their minds. "Thus it went on year after year," Hitler would later write, "but the romance of battle had been replaced by horror." Living under the constant threat of death, all the men in the front lines continued to wrestle with their fears. The soldiers lived under a network of arching shells where uncertainty and hopelessness reigned. When a shell was heard coming in, all they could do was seek some kind of shelter for they did not know, nor could they determine, exactly where it would fall. Soldiers came to see that no place was safe. Men sitting in "bomb-proof" dugouts could be smashed into fragments, while another caught in the open could survive a two day bombardment. For a soldier to keep his sanity he had to overcome his fear of death. Depending on his point of view, each put his life in the hands of chance, providence, destiny, fate or God. Every soldier came to believe in fate, and eventually that made him indifferent. War was seen as a cause of death - like cancer, tuberculous, influenza or dysentery. Deaths in the trenches were merely more frequent, more varied, more terrible. 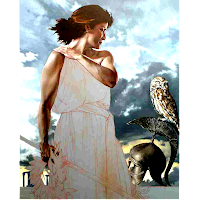 Always present, however, was the terror of dying, but most overcame their fear of death. As the war dragged on, Hitler, now a hardened soldier, felt that the civilians understood nothing of the agony of trench warfare. The Western Front became a world of its own, and Hitler began to find it hard to communicate with civilians back home. He answered his mail less and less, and received few letters and packages from home. When one of his comrades asked if there wasn't anyone to send him packages of food or items, Hitler answered: "No, only a sister, and heaven knows where she is by this time." But when the baker, Franz Heilmann (who Hitler befriended in Munich), sent him another food package, Hitler sent a note thanking him, but insisting that he send no more packages. The war changed men and many soldiers went through periods where memories of former times became haunted and did not awaken pleasure so much as sorrow. As the holidays approached, Hitler's mates noticed that he became very withdrawn. For three days he hardly spoke a word and took on "extra duty - particularly at Christmastime." When his friends tried to cheer him up he would abruptly walk away. "I almost wept for him," Mend would later write, "I thought; 'The poor devil is going through plenty....'"
When his comrades offered him some of their food or other items they received from home, Hitler declined stating he could not repay the favor. Then his friends took up a collection which would enable him to buy extra items from the kitchen mess, but he refused to except it. Once the holiday was over however, Hitler became cheerful again and even smiled about comments on his silence during the holiday. There can be little doubt that Hitler, with all the death around him, was still haunted by the death of his mother. By the beginning of 1916 the trench systems had become thicker and now extended miles and miles behind the front line. In many instances the front line was expected to be overrun and was held by fewer men while the second and third lines were made stronger since they were easier to reinforce. The areas now targeted for bombardment by attacking forces extended along long and deep "belts." Both sides in the conflict built and perfected heavier and heavier "trench artillery" designed to hurl larger and larger "aerial torpedoes" containing great amounts of high explosives. Their curved trajectories were effective against not only trenches but also reinforced pillboxes and even deep concreted dugouts. Many of the shells were capable of penetrating two feet of protective concrete, six feet of earth and another two feet of concrete. After causing tremendous damage with their weight and speed they were given a "second life" by means of a delayed fuse which would kill and maim those who had come to remove those previously killed and maimed. The area above ground was continually reshaped into unrecognizable moonscapes. During the bombardments, trenches ten feet deep disappeared, some little by little, others in a flash. Soldiers dug deeper and deeper into the earth with the entrenching shovels nearly every man carried with him. After a barrage lifted, the soldiers left alive quickly dug themselves out of their holes and used the huge craters created by the shelling for cover. When linked by hastily dug temporary ditches, the craters made a fair substitute for the elaborate trench systems just destroyed. Machine guns were quickly set up and the attacking forces were cut to pieces. The deadlock continued and casualties soared. The German High Command decided that Verdun, a strong point in the French defenses, would be the next point of attack. In preparation for the attack the High Command ordered six major "feint" attacks to be carried out during January and the first weeks of February in order to draw French and British attention from Verdun. Hitler's Regiment, which had been shifted north, took part in the ruse. At Verdun the Germans began, along a thirty mile front, one of the greatest mass attacks of the war. Although Verdun had no real significance as a military object, prestige was at stake. The French took up the call: "They shall not pass." Just as it became impossible to convince the French leaders that Verdun was not worth saving, it became impossible to convince the German leaders it was not worth taking. Nearly 2,000,000 troops on both sides were thrown into the battle. As attack followed counter-attack the slaughter continued for months. The fighting at Verdun continued into June. The French position became desperate when the Germans began to nibble their way forward. In an attempt to draw German troops and material away from Verdun, the British, with French support, decided to open a "great" offensive centred in the region of the Somme. The British had been planning the attack for months and had moved up a large number of heavy guns and stockpiled acres and acres of artillery shells. A fortune would be fired away - the cost of many of the larger shells was enough to raise a child, or send a youth to college, for a year. Although the British commanders had air superiority in much of the area, their habit of keeping their troops "on their toes" with constant raids, alerted the Germans to the huge British build-up The Sixth German army, the Bavarian (one of the two field armies in the area), had prepared an elaborate network of deep trenches linking concreted dugouts and shelters. Troop strength was brought up, and Hitler and his regiment were ordered to the village of Fromelles, southwest of Lille, to take part in the battle. "On the eve of our setting out for the battle of the Somme, we laughed and made jokes all night," Hitler would later state. "In my unit, even at the worst time there was always someone that would make us laugh." The British, while aware they had lost all possibility of surprise, were confident of victory. The German trenches were not to be bombarded, but obliterated. Besides thousands of regular artillery field pieces, the British had over 450 super heavy guns. Some were able to fire a shell 18 inches in diameter carrying nearly a ton of high explosives and metal. It would be Neuve Chapelle all over again, but instead of mounting a 35 minute bombardment against a short front, the British would bombard seventy miles of the German lines, from Ypres to the Somme, for five days. From the Somme southward the French would bombard twenty miles of the German lines. It would be the fiercest artillery bombardment of the war up to that time. Then, at the planned moment, the bombardment would lift along certain sections of the line and go into its "rolling barrage" phase moving slowly deeper into German territory. The British and French hoped that their infantry would simply advance behind, clearing up the "few surviving Germans." In the preliminary bombardment that opened the battle in late June, the British and French fired over 40,000 shells ever hour in hopes of pulverizing the Germans and their defences. As the shells came raining down on the German positions, the land itself seemed to burst open and flash. As far as the eye could see fountains of mud, iron and stone filled the sky. Gas moved across the land and filled the valleys and meadows. Talk was impossible for one could not be understood. Men huddled in their shelters as exploding shells cleared away the earth protecting them. Trenches disappeared. Dugouts vanished. Screams were heard between the explosions. Where men had sat only lumps of flesh and bits of uniform remained. In the deeper shelters, old and battle-hardened troops peered through their masks at one another and shook their heads. They all had heard the story of the French regiment at Verdun which fled under a heavy bombardment. Suddenly, at 9:30 in the morning on July 1, the bombardment lifted along a twenty-eight mile section of the front where the French and British lines met. As the curtain of fire fell behind them, German soldiers, who only moments before seemed ready to crack, sprung into action. There was now something to do other than wait for death. On an 18 mile front, from the Somme River north to Gommecourt, the survivors clambered out of their shelters to greet thirteen British divisions, over 150,000 men, who began to cross No Man's Land in a solid line. On a ten mile front from the Somme south, the Germans prepared to greet 50,000 French soldiers who were crossing in a similar fashion. As German front line troops took up defensive positions, messengers hurried to the rear, passing through the curtain of fire, to inform their regimental headquarters that the attack had begun in their sector. Though the French advanced with "acceptable losses," the British were torn to pieces. The Germans had constructed some shelters 40 feet deep and new armoured machine gun emplacements had been strategically located so as to put attacking forces in a murderous cross fire. Where their fortifications had been destroyed the machine gunners set up their guns in the same areas that had been "scientifically" chosen earlier. The British had also concentrated most of their heavy shelling on the German trenches, and the wire protecting the German line was uncut in many places. Where it was cut, the ground was so heavily pitted with shell craters that an orderly and speedy advance was impossible. As the British picked their way through the wire, the German machine gunners opened up with a murderous spray. British troops fell by the thousands. Many were literally cut in half; the top part of their bodies tangled up in the wire while the bottom part lay on the ground. Within a short time the German messengers did their job and German artillery shells began falling on and behind the attacking British making it as unsafe for them to retreat as it was to go forward. Nearly 20,000 British soldiers were killed or seriously wounded in the first two hours. At the small village of Gommecourt alone, 1,000 British troops died along a 1,000 yard sector of the line. Before the day was over the British suffered nearly 60,000 causalities - 40,000 seriously wounded and 20,000 dead. Although the British had made some small gains in a few areas, they did not attempt to exploit the areas but ordered more uniform attacks along the whole line. For the next two weeks the battle continued with nearly the same results. The British pounded the German lines until it seemed nothing could be alive. But, when the shell fire lifted off the German trenches, men, like ghosts, appeared from out of the ground. As the British troops charged, German artillery, machine guns, rifles, hand grenades, mines, gas and bayonets thinned out their ranks until the inertia of the attack was blunted and it finally collapsed. A British "success" was measured in ''yards." The German Generals showed no more ingenuity than the British and demanded that every yard of territory lost be retaken. With German artillery shells leading the way, counter-attacks were launched. So it went back and forth until the German losses began to approach those of the British. After two weeks the only noticeable gain the British had achieved was along a five mile section of their line north of the Somme River where they linked up with the French. With little else to show for their losses, the British decided to "exploit" the area. On the morning of July 14, 20,000 British troops delivered a major assault after a bombardment that lasted only a few minutes. They consequently took the Germans by complete surprise. The British advanced over a mile capturing a five mile sector of the German second line. It appeared it would be a cake walk to break through the third line. It was the moment that all British generals of W.W.I had dreamed of. At seven o'clock in the evening, the British began sending in wave after wave of mounted cavalry. Horses, high off the ground with men on them, offered easy targets. Most of the horses and men were mowed down by German machine guns. "The wonder was that any came back alive." While the dreamed-of breakthrough was disappearing in a pool of human and animal blood, the British launched attacks and bombardments all along the front to prevent German reinforcements from relieving the area. Anything flammable was burnt black all along the front to a depth of four miles. The effects of the endless gas clouds were felt over seven miles behind the front lines. That evening, the shelling was so devastating in the Fromelles sector that no one ventured to stick his head out of his hole. All regimental field telephones were out. Hitler and another runner were sent out to deliver messages, according to their officer, "in the face of almost certain death." The barrage was so intense that every step forward was an act of suicide. After diving, crawling, running, dodging and taking advantage of every shell hole and ditch, Hitler returned dragging along the other man who "collapsed from exhaustion." The officers were surprised and amazed that they returned alive. No place was safe and the life of a dispatch runner was "measured in hours rather than days." During one of the barrages the shell fire was so heavy that it was believed no single runner could get through. It soon became commonplace to send off as many as six runners with the same message assuming "five would probably be wounded or killed." All through August the British continued their attacks with paralysing losses and with little to show for their effort except the gains made in coordination with the French. The dream of forcing the Germans back along the whole British front was forgotten. Hundreds of thousands of troops had been consumed. Lacking sufficient battle worthy formations, the British shifted most of the heavy fighting along side the French. Still hoping to gain something, the British set their sights on the town of Bapaume. By sheer weight of artillery and men the British and French stumbled forward until they had extended their advances to four miles in some places. Determined to break through the German line and reach Bapaume the British decided to unleash a surprise on the Germans. Forty-five heavy artillery towing tractors, code named "tanks," had been converted into "landships." With their caterpillar treads, armored plating and mounted machine gun, they would, it was hoped, provide the infantry with the close support needed to break through. On Sept. 15 the tanks went forward. Only a dozen got near the German line, but because of their surprise effect, and the fact that machine gun bullets failed to stop them, a few penetrated the German line. Before the day was over, however, they were all disabled. Undaunted, the British continued to pound the German lines and the Germans hammered back in their turn. Every day in "the fight of man against man," as Hitler called it, thousands of men were killed or wounded. As the shells decimated the troops, fresh regiments were herded into the area. On Sept 25 Hitler and his Regiment were brought south, and thrown into the midst of the heaviest fighting south of Bapaume. Some of Germany's best divisions were fighting in the sector and "compared with them," Hitler would later state, "we felt we were the rawest of recruits." By now Bapaume itself had become an unrecognisable flaming abyss. Because of the constant shifting of the front lines, and the heavy artillery bombardments, wired communications between regimental headquarters and the front lines were non-existent Through the chatter of machine guns, the roar of exploding shells, the hum of shell fragments alive in the air, and the groans of suffering men, Hitler shuttled back and forth. "Then I saw men falling around me in thousands," Hitler later stated. "Thus I learned that life is a cruel struggle, and has no other object but the preservation of the species. The individual can disappear, provided there are other men to replace him." Even an arch-patriot like Hitler was appalled by the senseless losses. Like many of his fellow recruits he slowly came to believe that the old leadership that he once thought so highly of, was failing them. There would be few men who fought on the Somme who would ever wash away the memory of what occurred there. Although Hitler had already fought in nearly 20 battles, and would fight in 20 more, nearly ten years later he would describe the Battle of the Somme as "more like hell than war." Although Hitler had been in the thick of the fighting on the Somme, the only injury he received was a minor shell splinter to the face. On the night of October 7, 1916, however, his name was added to the casualty list. During a rolling barrage of British artillery in the vicinity of Le Barque (two miles south-west of Bapaume) a shell landed near the spot where he and his fellow messengers were huddled waiting to run messages. They were blown into a heap and Hitler survived with a serious wound to the left thigh. "What is strange," Hitler would later say, " is that at the moment of being wounded one has merely the sense of a shock, without immediate pain. One thinks that nothing important has occurred. The pain begins only when one is being carried away." Hitler did not want to leave his regiment and attempted to convince his superior to keep him at the front, however, he was evacuated to a field hospital six miles behind Bapaume at Hermies.